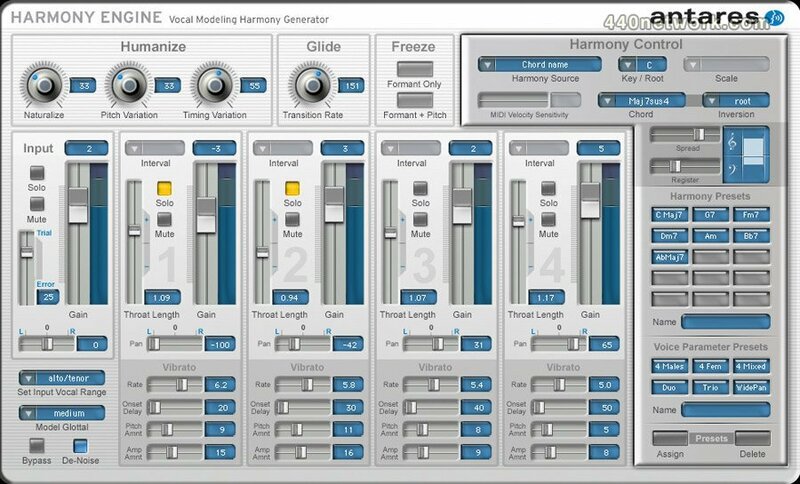 Harmony Engine is a real-time harmony generating plug-in that puts professional-quality vocal harmony arrangements within reach of any songwriter, producer, musician or engineer. 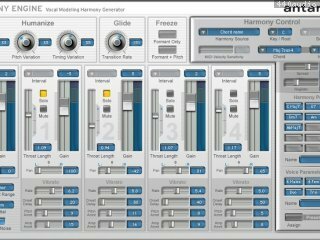 With four independent harmony voices, a variety of powerful harmony generating modes, humanization features for natural sounding performances, and a flexible real-time preset system for harmony and vocal type, Harmony Engine provides incredibly easy-to-use tools to quickly and easily produce virtually any vocal arrangement you can imagine. * A Voice Parameter Preset matrix that lets you create and instantly recall up to 6 different "vocal groups"
This releasee provide improved pitch detection accuracy of higher-pitched notes, as well as resolve a variety of issues in the various versions.